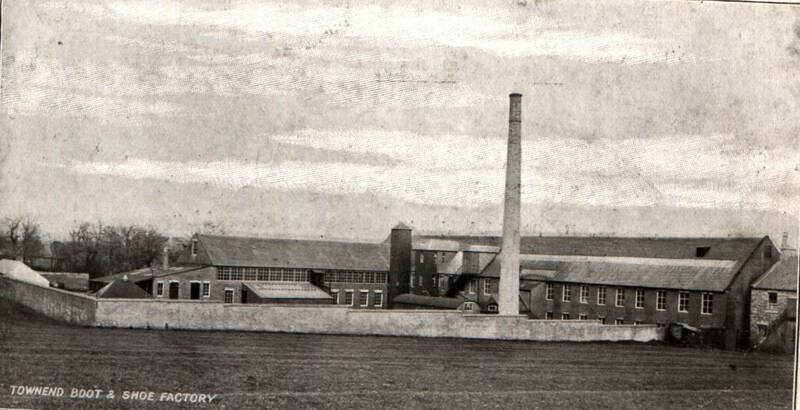 The photo and drawings below are of some of the shoe factories of Maybole's past. "By 1891 there were ten shoe factories in full production employing 1,500 workers and producing about one million pairs of boots and shoes annually. Shops were opened throughout the whole of Britain, named "The Maybole Shoe Shop" For more of this story from James T. Gray's book see below. Click here to view the 15 page booklet with photos for John Lees & Co. Another contemporary account is given here by Rev. R. Lawson. Click here for a first person account of what it was like to work in a factory is given here. Click on the images below to view them full size or on the captions for very large images. St. Cuthbert's Ladywell (very large image) John Lees and Co. The following is taken from James T. Gray book. Maybole - Carrick's Capital. The boot and shoe industry continued to provide work for nearly all the townspeople until 1907 when the Ladywell Factory, which was the largest in the town, had to close down (an event which was reported in the local press as "a major tragedy") and once again many Maybole men were out of work and there were hard times, as there had been when the weaving trade failed. 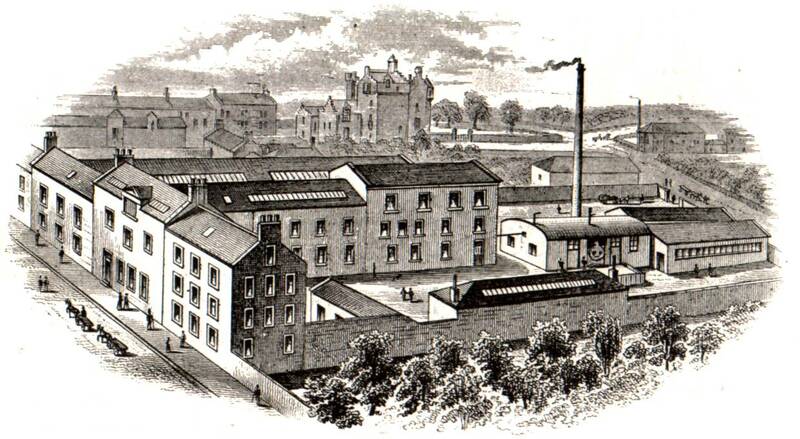 Many shoemakers emigrated with their families to Canada (some estimates give 2,000 persons as the number that left Maybole at that time) and some went to work in the shoe factory at Shield-hall. The cause of the failure was once again the insularity of the Maybole men, who would not change from the craft of making shoes by hand to making them by the machines which had been invented about that period. The owners of some of the smaller factories, however, were more far sighted and gradually Crawford, Ramsay and Lees installed modern machinery and absorbed the remainder of the shoemakers who had stayed in Maybole. "Go where you will through Scotia's land, You'll see our boots on every hand, It's Maybole on which Scotsmen stand, This auld toon o' Maybole". McCreath's carried on for a few years after the disastrous fire at Lees' but in 1968 competition from larger factories, cut rate prices in the trade and their unwillingness to lower the high standard of their products finally forced them to close, and apart from a small factory run by Messrs Harrison and Goudie, which employs a few men and deals mostly with special orders, the boot and shoe trade in Maybole is now a memory like the weaving trade. 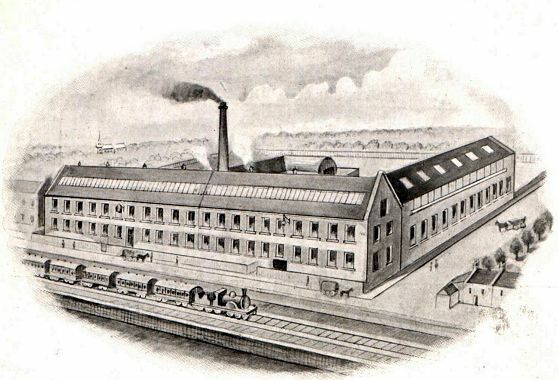 The tanning of leather, which was ancillary to the shoe trade, also flourished during the period from the 1850s to the l960s and originally some of the factories had their own tanneries. These were, however, finally replaced by one large tannery at Ladywell which was owned by the Millar Tanning Co. Ltd. 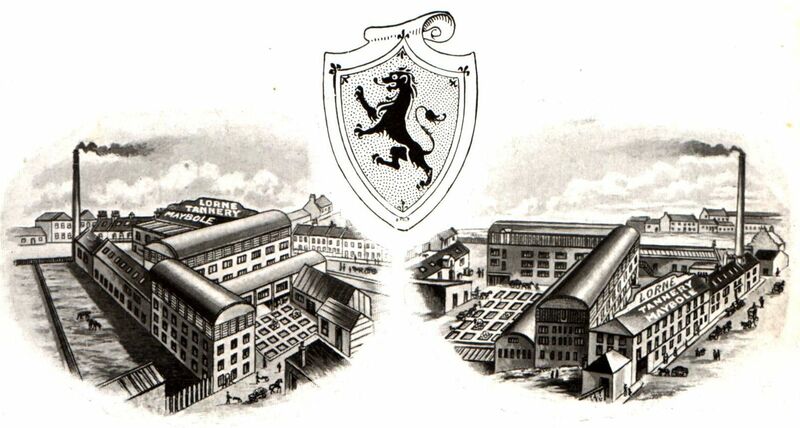 This company took over the buildings (which had been erected by John Gray) when the Ladywell Tannery & Shoe Co. failed in the first decade of this century and started the Ladywell Tannery with 45 employees. The company prospered and continued in business until May 1969 when once again the march of time and the change to the method of making shoes with materials other than leather forced it to close down and the last link with the old leather trade was swept away.